Today I’m heading for Steenberg, at the end of Cape Town’s M3. It’s a Wine Estate with a hotel, two restaurants and a golf club. What more could you want? Our destination? Bistro Sixteen82, which is named after the year the winery at Steenberg was established (so that’s a while back) and opened its doors in 2009. Executive Chef Kerry Kilpin (always nice to hear of a female chef) aims to use fresh, seasonal ingredients. She also says that her travels to Thailand mean she has developed a passion for Thai food. So that sounds very good, you know how I love Thai food. 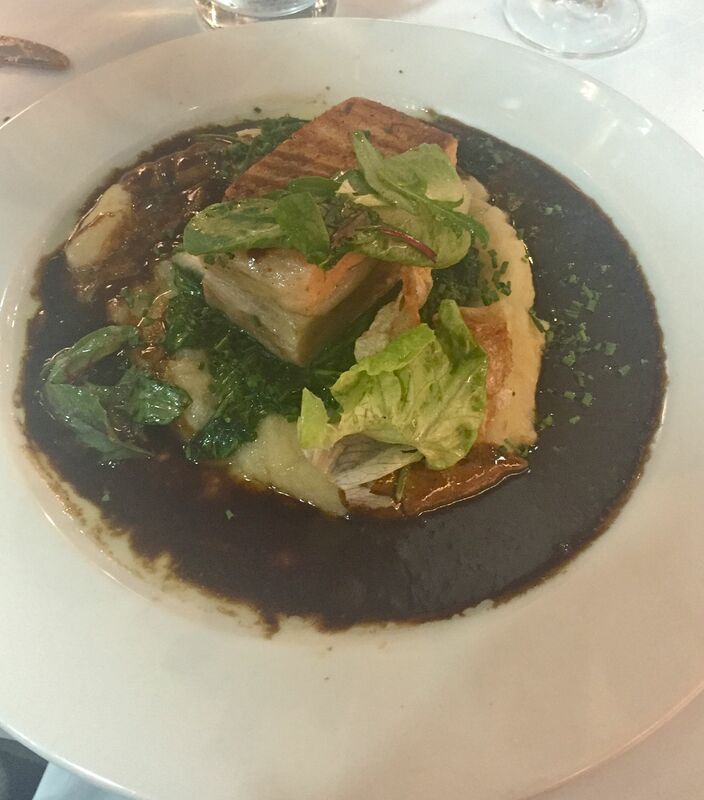 We’d managed to wangle a last-minute booking – today’s lunch was an unexpected treat. So we started off with a bottle of their beautiful pink sparkling Brut Pinot Noir, well, if you’re going to treat yourself.. The menu doesn’t offer a massive choice of dishes, which makes ordering decisions easier. And there’s a blackboard with daily specials chalked up. 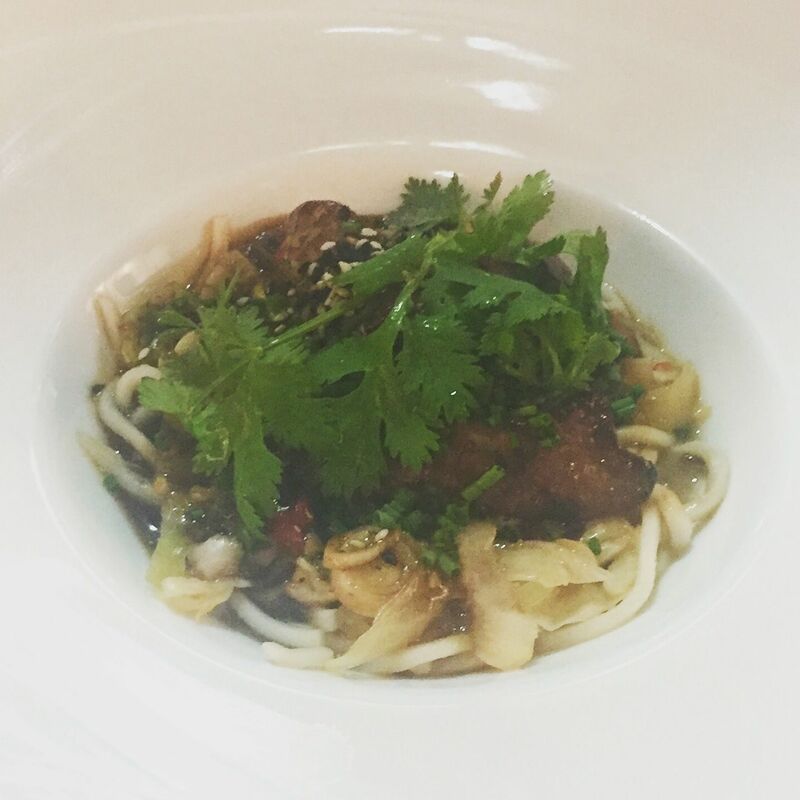 From the board, a clever chicken liver dish served with perfectly cooked pasta, all nestling in a little bowl. A melt-in-the-mouth dish with a real chilli kick. 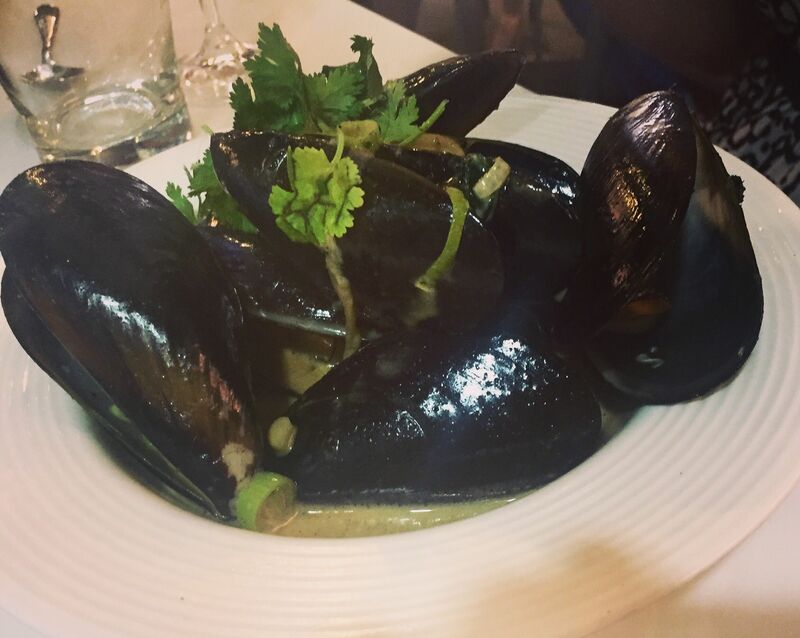 The spicy black mussels came with a sauce of onion, garlic, Steenberg chardonnay, lemongrass and tom yum. Plump, flavoursome mussels matched with a simply perfect sauce the flavours transported me straight back to Thailand. The dish also comes as a main course – guess what I’ll be having on my next visit? 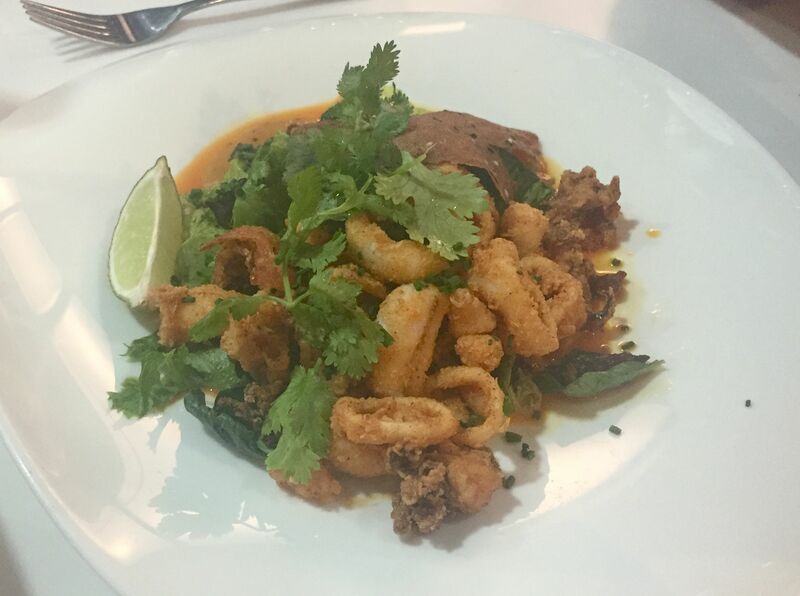 The calamari came with harissa mayo, avocado pulp and paprika oil. Some of the softest, sweetest calamari I’ve eaten in a while that went perfectly with the creaminess of the avocado. The braised lamb neck came with millet, sultanas, cumin juice and greens. 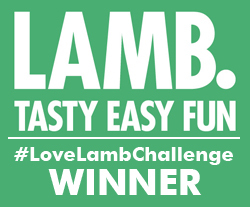 Tenderest of lamb (the neck is a great cut to cook with) with an interesting combination of ingredients – a taste of Northern Africa possibly? 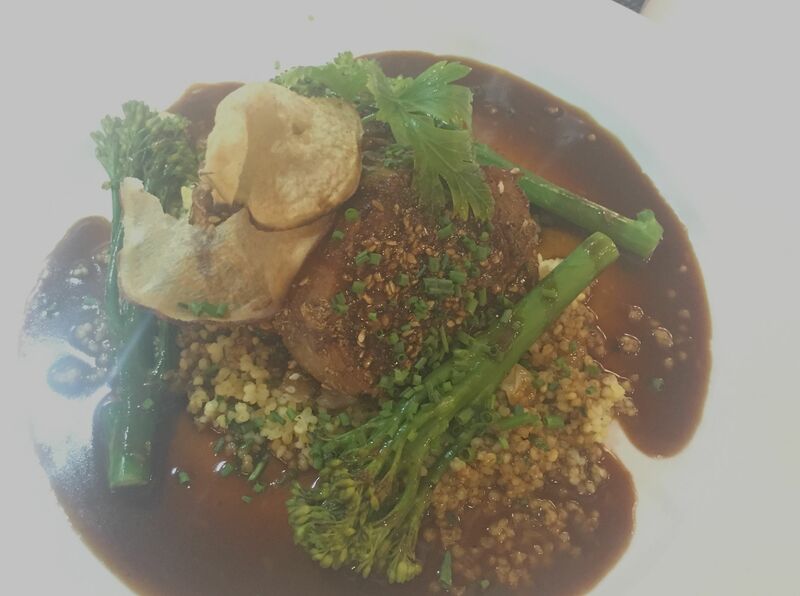 Again on the specials board was beef fillet which came with a wild mushroom sauce. 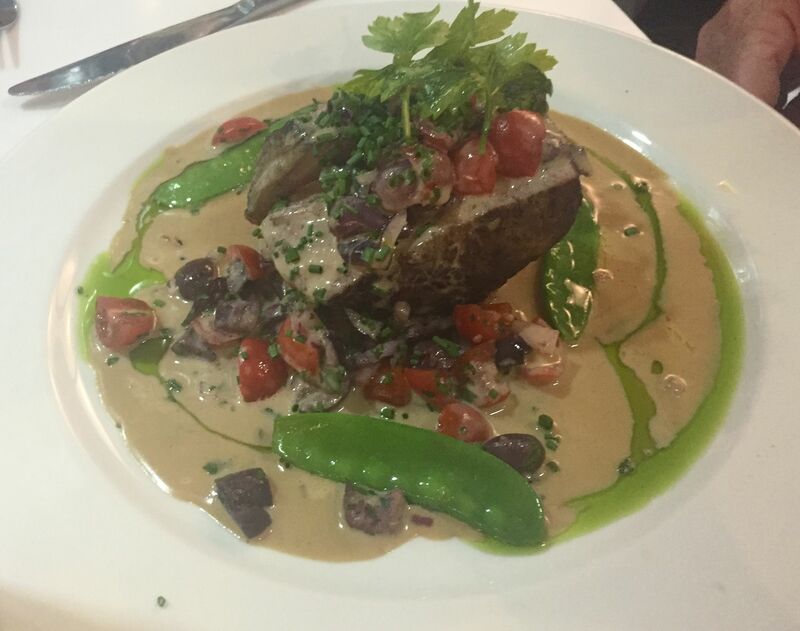 A beautifully velvet mushroom sauce, served with tender steak cooked to perfection. On a sunny day, the stylish light-filled restaurant was packed with a mix of the beautiful people of Cape Town and tourists from all over the world, enjoying tasty food in a great setting. Oh and great wine, too. Aside from the bubbles, which I’d really recommend, their Merlot is lovely and at the top of the tree is their Nebbiolo with its amazingly soft fruity and herby tones and great depth – I’m not a trained wine expert but you get the picture. It’s wine heaven. Thanks to Juanine for using her influences to nab us a table for a fabulous, spontaneous lunch….let’s do it again soon. Sixteen82 is on the Steenberg Wine Estate. Find out more by clicking here.